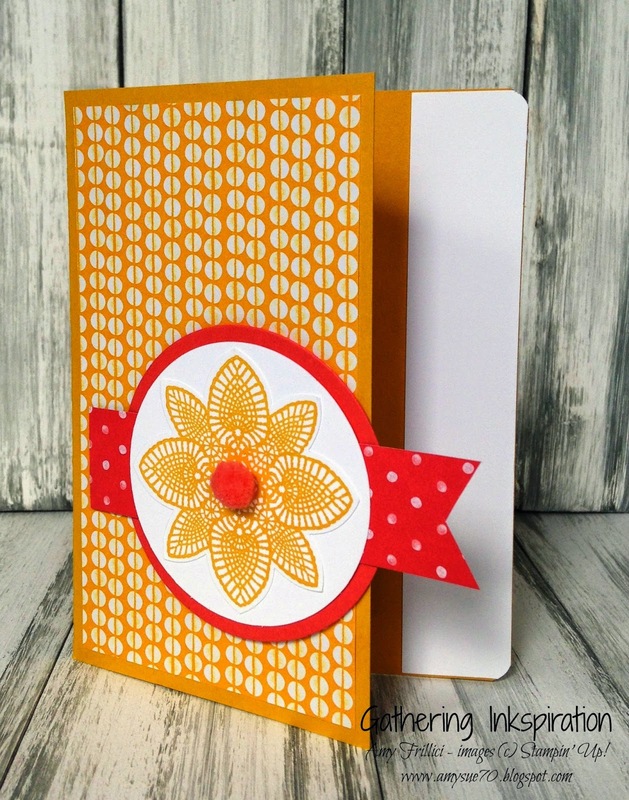 I love the fun, bright colors on this card!! How about you?? But, I've combated those winter blues by playing with lots of flowers and butterflies and fun, bright colors all winter long! It's been the perfect escape for me (and lots of my friends and customers, too!). 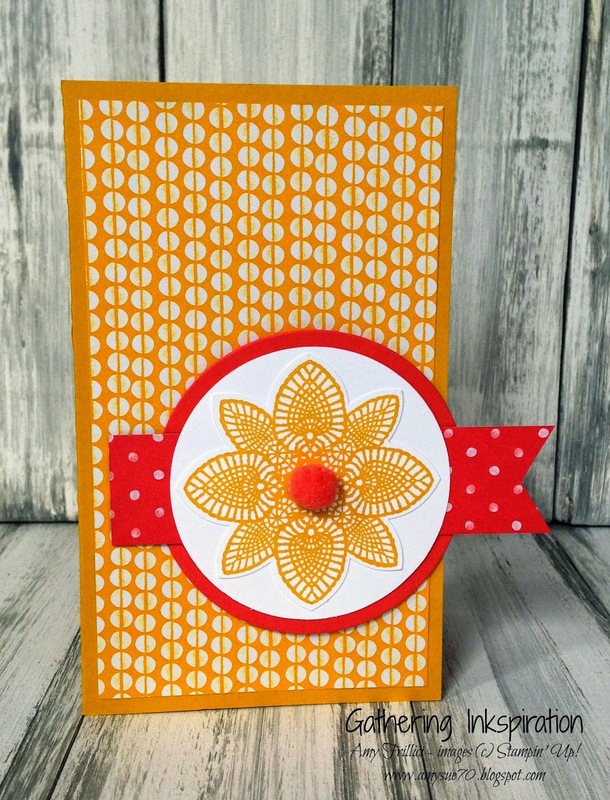 We start our card with a Crushed Curry card base - this card base actually measures 5 1/2" x 7 1/2", scored at 3 1/4" for the front of the card base. 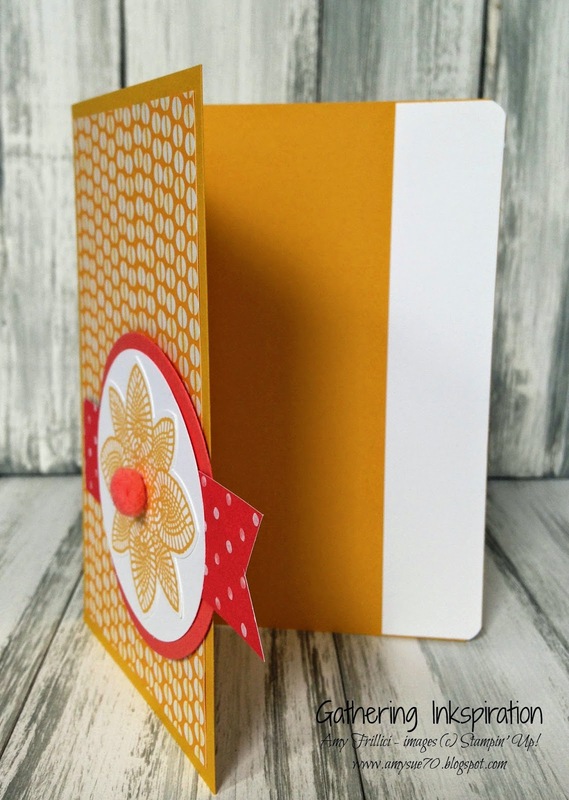 We added a 1" strip of Whisper White card stock to the back/inside of the card to make it stand out, then rounded the edges of the card with our Project Life Corner Rounder Punch. 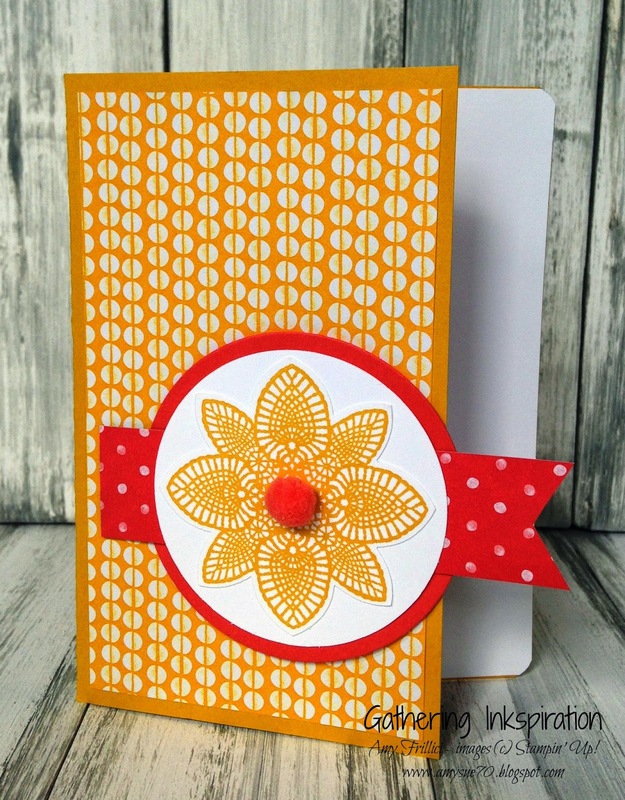 On the front of the card, we added a piece of the Birthday Bash Designer Series Paper - those little yellow polka dots just make me happy! 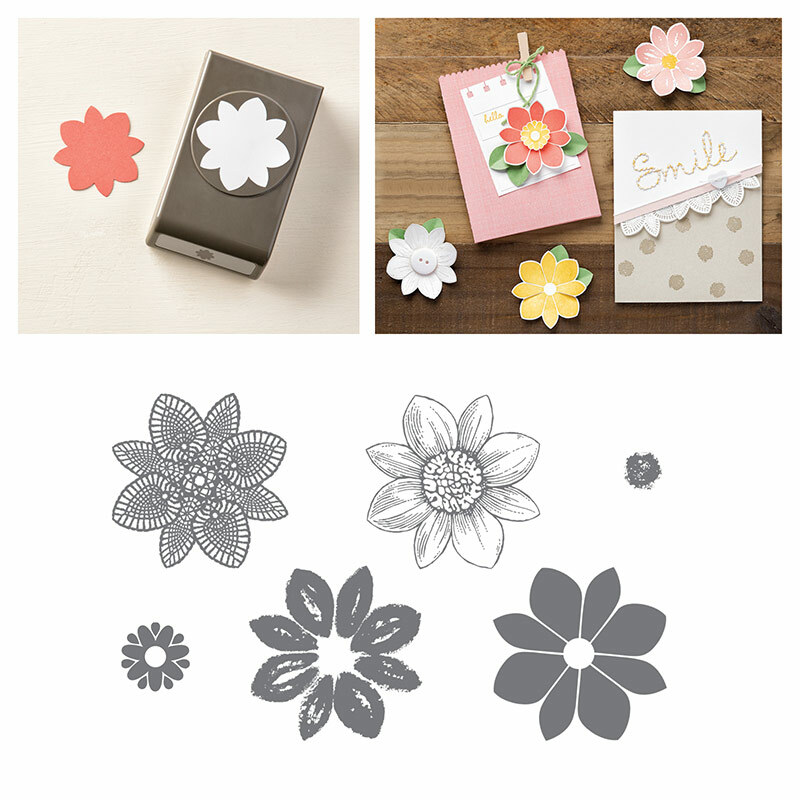 Next, we stamped that gorgeous flower (from the Petal Potpourri Stamp set) in Crushed Curry ink and punched it out with the coordinating Flower Medallion Punch - this stamp set and punch are bundled together for a 15% savings on both items!! 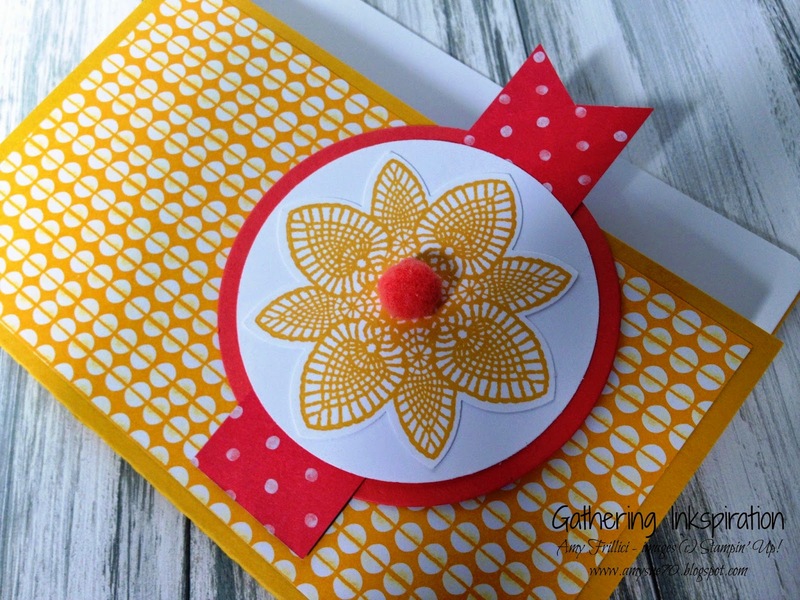 We mounted our flower on top of a Whisper White 2 1/2" Circle Punch, then layered this on top of a Calypso Coral circle die-cut with our Circle Framelits. Then, we added that cute little pom-pon (from our Calypso Coral Pom Pon Trim) to the center of the flower. 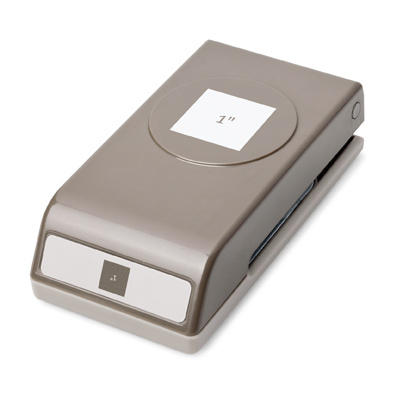 Finally, we added another strip of the Birthday Bash DSP behind the flower piece and flagged the end of the piece with our 1" Square Punch.